One of my clients told me about this fox den near Ponoka, so I drove down every Sunday for a month and waited and watched them. Sometimes they would show themselves and sometimes they wouldn't. 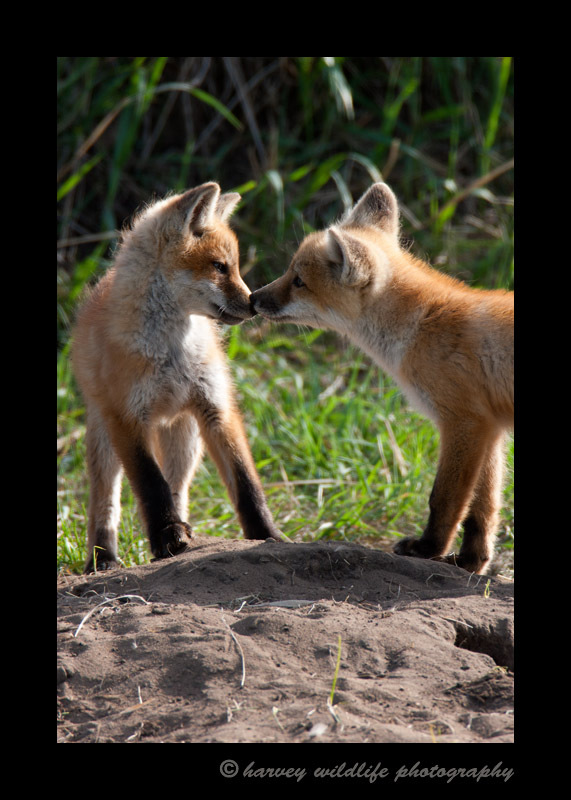 In this photograph, they had both come out of different holes in the ground, one ran toward the other and they had a warm sibling greeting.